Europe based BIOplastics BV is the innovative high quality injection moulding manufacturer of (q)PCR consumables supplying the molecular (diagnostic) (q)PCR marketplace (MDX). BIOplastics with its sole headquarter and manufacturing facility in Landgraaf, The Netherlands is a member of the privately owned BIOzym Holding group, which is comprised of CYCLERtest BV, GENO-tronics BV, BIOzymTC BV, BPCTi Inc. (USA), Hendrikx Ltd. (China) and CelsiusLabs. BIOplastics offers the most superior range of (q)PCR plastics globally. BIOplastics pursues the vision to design and manufacture plastic consumables in particular for use in MDX and related application fields as well as to supply MDX kit manufacturers. BIOplastics superior quality and highly reproducible consumables allows ease of use with maximum reproducibility of results. BIOplastics products are, in addition to being integrated into MDX kits, offered through a worldwide network of selected distributors and resellers. The molecular (diagnostics) marketplace is rapidly growing and requires superior, independent and complete supply of (q) PCR disposables. These demands require generation of accurate, consistent, and reproducible results to manage and reduce variations in the (q)PCR process. 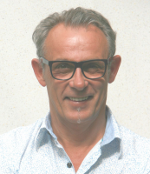 BIOzym Holding, the Netherlands, the parent company of BIOplastics and its sister company CYCLERtest, support and commit to these demands and strategically organize all members to develop new products whose end result is to comply with these "manage and reduce variations in the (q)PCR process” demands. While CYCLERtest supplies independent ISO17025 accredited (q)PCR cycler tools and calibrations for all models and brands of (q)PCR cyclers, BIOplastics manufactures Extreme Uniform q(PCR) disposables, and has been able to reduce to the use of just two products for those who require the lowest variability, the number of to be used products to a minimum of two. BIOplastics is proud to be categorized as global innovative leader and we are obligated and eager to maintain this position. 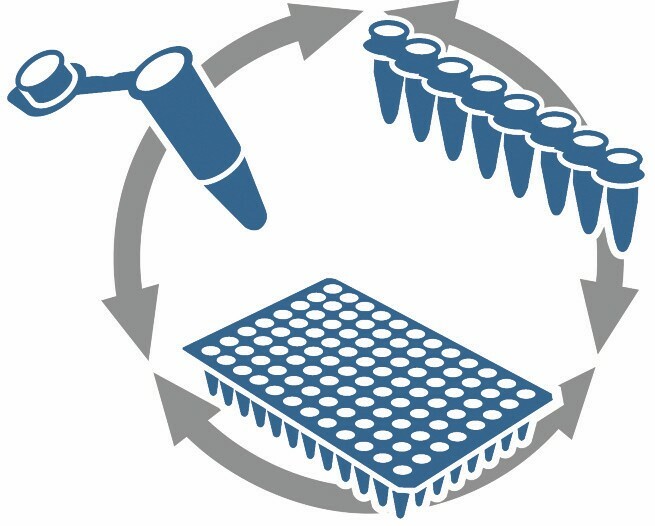 Accurate and reproducible results in (q)PCR are obtained when being in control of all variable parameters of this process. So being in traceable control of these parameters such as reagents, oligonucleotides, template DNA, disposables and thermocycler, next to other operational parameters, is crucial in achieving trustworthy results. BIOplastics BV and its sister company CYCLERtest BV, both belonging to the Dutch BIOzym Holding BV group, targeted these two, most often underestimated variables: The (q)PCR disposable and the (thermal) performance of the (Real-Time) thermocycler. 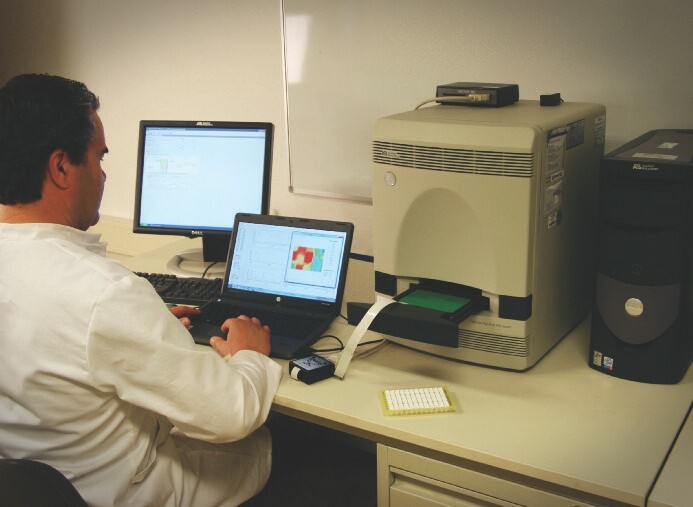 CYCLERtest BV offers multi-channel thermal calibration equipment and ISO 17025 accredited calibration services for any brand and model (q)PCR thermocycler. For more information about thermocyclers calibration tools and calibration services: www.cyclertest.com, www.driftcon.com, www.celsiuslabs.com or call+31(0)45 533 8733. BIOplastics BV manufactures Extreme Uniform plastic disposables, enabling control of the plastic consumable aspect of the (q)PCR process. BIOplastics focuses on (q) PCR plates, strips and tubes. For customers who require lowest variability, the number of the to be used products can be reduced to a minimum of two. Next to that BIOplastics manufactures products used in the pre- and post-(q)PCR process; more specifically filtertips, pipette tips, sampling tubes, racks, (cryo) storage tubes and racks, kit content reactions vessels and micro centrifuge tubes. These characteristics lead to extreme uniform reaction conditions in (q)PCR, whereas the latest BIOplastics development enables to reduce the number of “different” products to a minimum of two, regardless the wide variety of brands and models in a laboratory. BIOplastics manufactures not only Extreme Uniform (q)PCR disposables but has reduced, for those who require lowest variability, the number of to be used products to a minimum of two. BIOplastics has assembled a range of products which are fully interchangeable with each other. A (q)PCR process optimized in one of the BIOplastics strips, tubes or plates can simply be transferred to any other BIOplastics strip, tube or plate. The fact that BIOplastics offers products for ALL BRANDS and models of (q)PCR cyclers enables end-users to “one time only” optimize the (q)PCR process in its, at that moment in time, preferred BIOplastics model. Once optimized you can simply swap to a different BIOplastics format without re-optimizing or re-validating the process, since you are benefiting from our identical and interchangeable model and raw material properties plastics with the same properties. Using the same protocol on a different cycler is easily done by selecting the designated BIOplastics product for that model of cycler. No need for re-optimizing the whole process since BIOplastics’ plastics characteristics are exactly the same for the whole range of the (q)PCR product line. Thermal performance difference between cyclers, cycler models, and brands can be accurately determined using CYCLERtest calibration service or CYCLERtest DRIFTCON® temperature calibration tools. 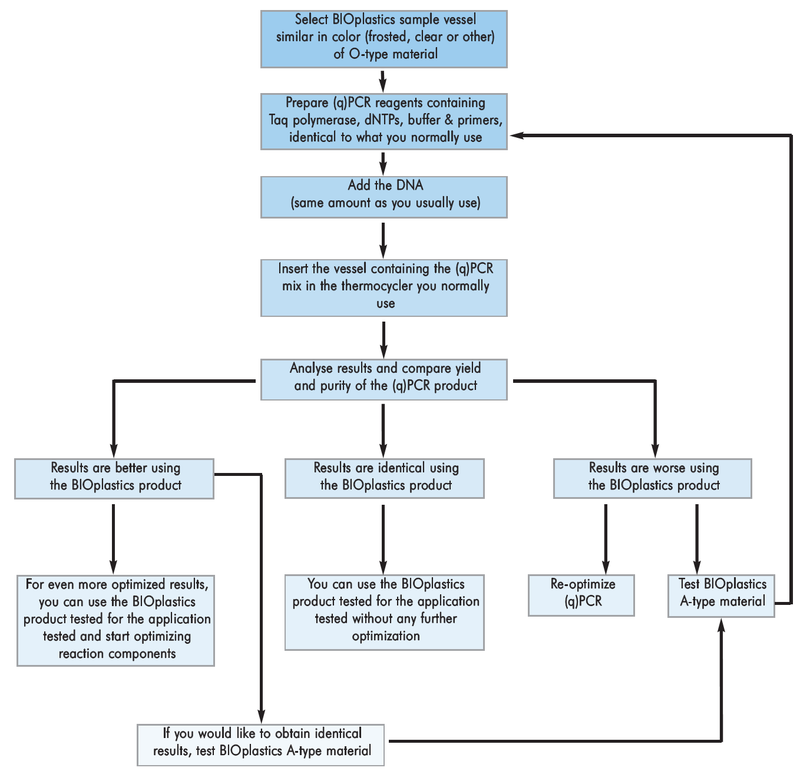 See also “Normalizing Standard Operation Procedures (SOP) for (q)PCR applications” (page 22). Did you optimize your (q)PCR process in tube strips and need more or less capacity? Just start using BIOplastics plates, single tubes or even 384 well plates without the requirement of adjusting your protocol. 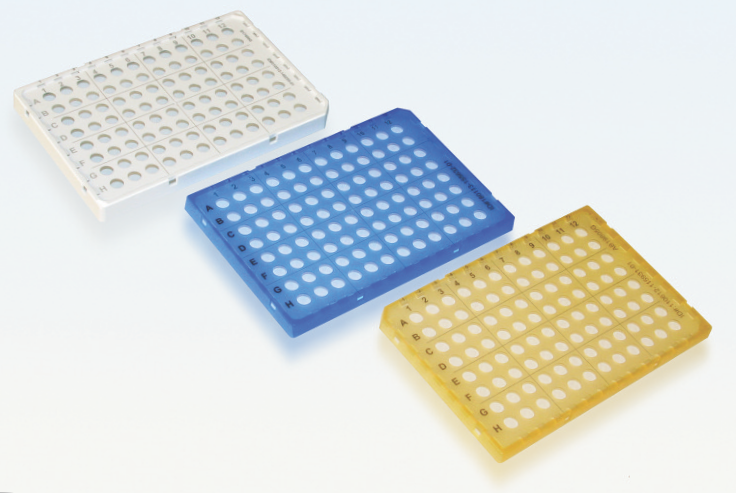 Shell Frame Grids are designed to combine designated BIOplastics (q)PCR vessel formats with an interchangeable and rigid skirt. This smart design enables to reduce the total amount of used plates or strips: to a minimum of 2, regardless the variety of your (q)PCR cycler range. Simply make your selection of low profile (0.1 ml) and/or regular profile 0.2 ml. Select your preferable format e.g. 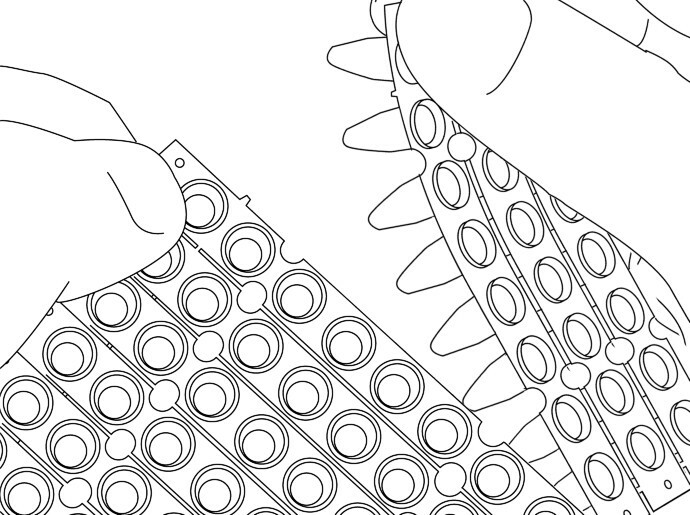 cut-able plate, tear-off strip mat, 8 tube-strips or 8 tube-strip with attached caps. Decide your preference for Ultra Clear, Frosted or White. Your selected product(s) enable you to perform any (q)PCR on any (q)PCR cycler platform regardless cycler-range and assortment. Outcome: superior accurate, uniform and interchangeability of results and limiting variables in MDX or experiments. Low evaporation properties enables (q)PCR in low volumes which greatly reduces reagent costs (up to 60%). BIOplastics does not recommend its products to be used with volumes below 5 µl. White plates and strips do allow significant signal enhancement in qPCR. In some cases the reagent usage can be reduced due to the much higher signals achieved. Why continue to use a number of different products to equip your (q)PCR cycler assortment if a “one product does it all” is at your fingertips. 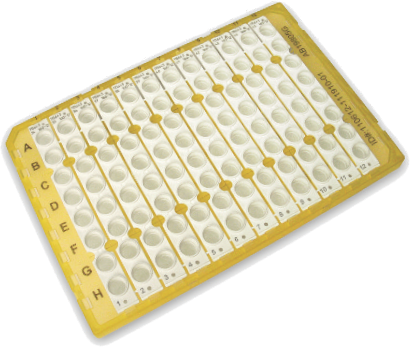 The use of BIOplastics’ Shell Frame Grid fit-able products as Tear Off Strip Mat or cut-able Plate are designed for “one product only” strategy which enables you to equip your whole 0.1 ml or 0.2 (q)PCR cycler assortment with one product only. Reduce the number of products and vendors. 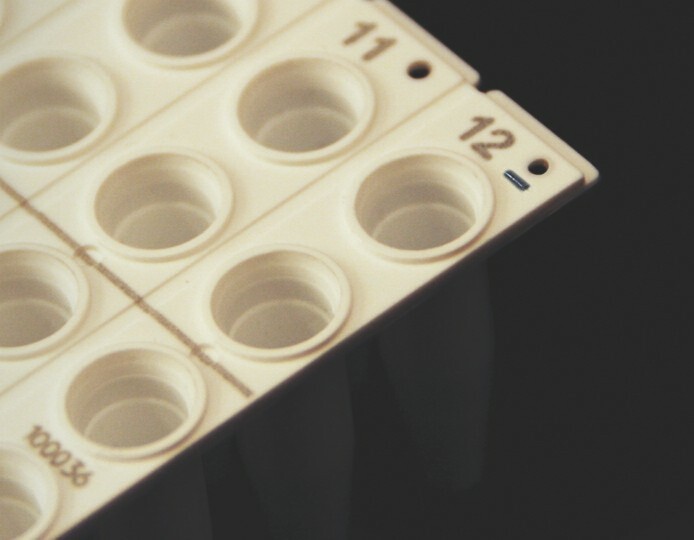 “One product does it all” BIOplastics (q)PCR products are designed to fit the majority of PCR and qPCR cyclers and our latest Shell Frame Grid fitting products even enables reduction of your usual (q)PCR disposables selection to one or two, regardless the cycler platform(s). Benefit buying from one vendor, using one product and one chemistry strategy, and grant your laboratory and its customers superior and consistent results. Related products as filter and pipette tips, micro centrifuge tubes etc. can be added to support your consistent results as well as to focus on a one vendor/superior quality laboratory strategy. We recommend using the dynamic search engine at our website to find the correct product for your application(s), opt for “Shell Frame Grid fitting” products or use our website “current competitor product” to BIOplastics superior products converter. If not sure or too much of a hassle, just contact BIOplastics for the best recommendation suiting your needs. BIOplastics’ BPLPM technology results in a non removable, uniquely marked and coded product. No writing with markers, no mistakes, no removal of marks, no double identification numbers, just use the unique ID# at the beginning of your process. 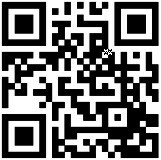 Link the unique ID to your Lab LIMS system. BPLPM technology is currently used in a selected range of products. BPLPM technology is particular useful for accredited labs and in Pre-diagnostics and Diagnostic settings allowing improvement of procedures and reducing risks of label failures. 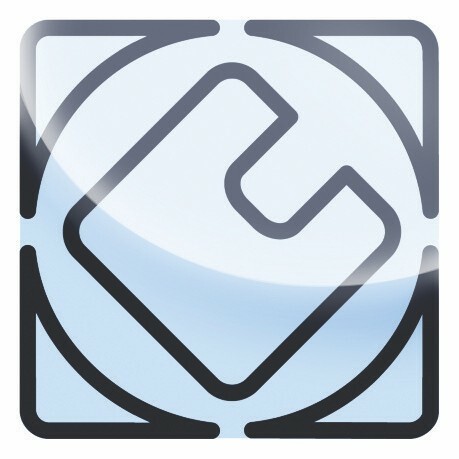 Custom layouts and customized codes, whether in 1D or 2D can be added on demand. Several options (including your own coding) are available and particularly useful for kit manufacturers, enabling full traceability of products and applications. Molecular Diagnostics requires traceability and BIOplastics already has full trace ability for its products. 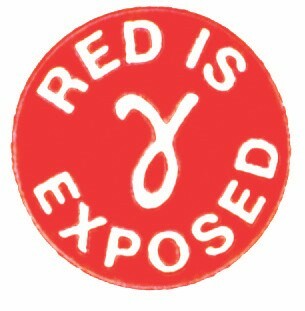 Designated products are even unique and irreversible ID-ed and coded. For those customers who would like to go beyond, BIOplastics enables the possibility for incorporating a programmable, scan able and readable chip (RFID) in its products. 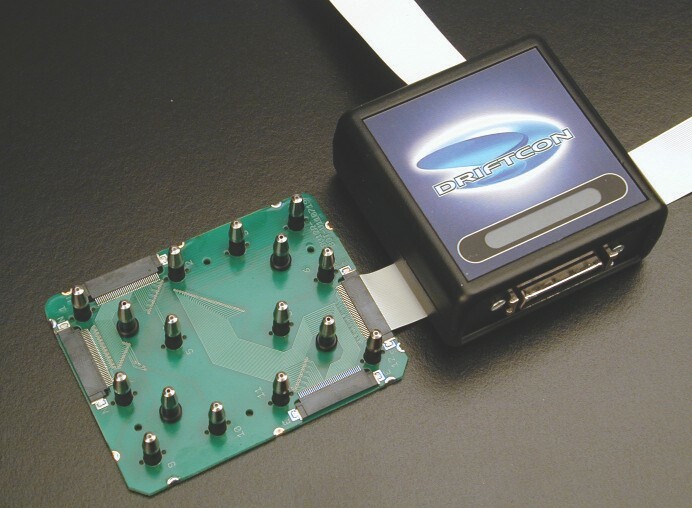 RFID or Radio Frequency Identification refers to a system for automatically identifying objects. The easiest way to understand RFID is to imagine a type of BARCODE which is able to exchange information by radio, and update itself over a period of time. In the coming years we expect lots of innovative applications with RFID. BIOplastics products with an RFID chip might be particular interesting for monitoring and streamlining workflows, diagnostic kits, diagnostic testing, combining instruments and applications or other parameters. Contact BIOplastics for information and options. BIOplastics strips and plates are not symmetrical; many BIOplastics strips have off-center holes at top and centered holes at the bottom which provides easy orientation. 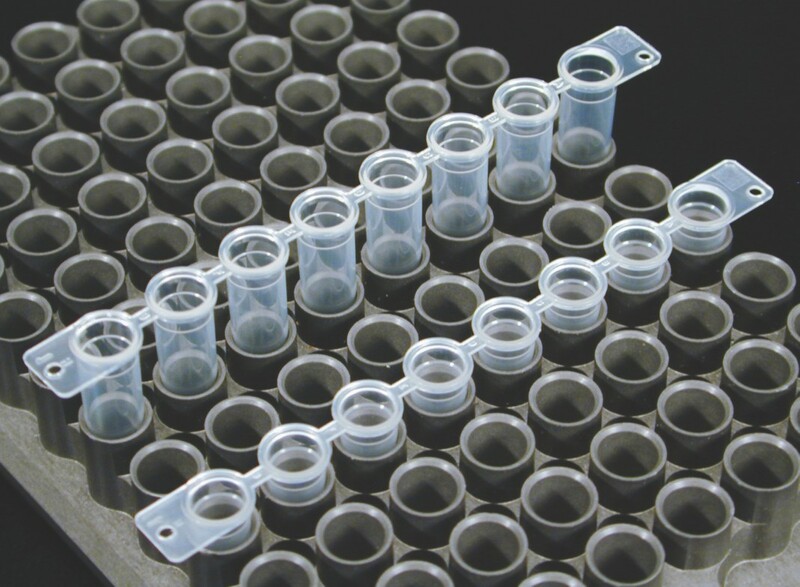 Tubes strips and plates can be clicked in Shell Frame Grids permitting the assembly of your own plate or to perfectly fit your specific instrument. 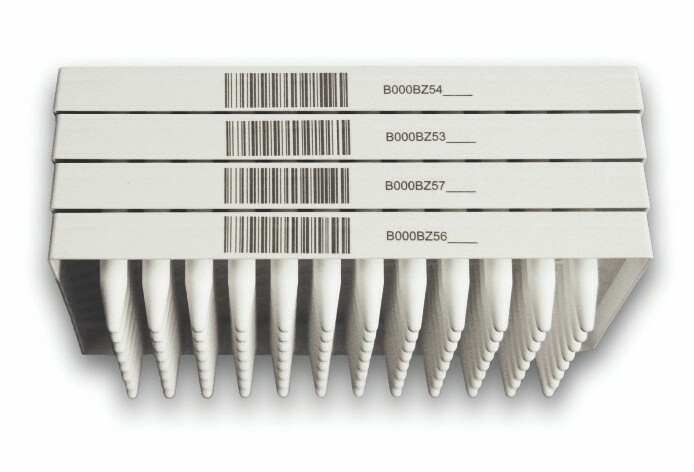 Frosted marking areas enable easy marking of strips. Extra robust strips will not break and enable straight forward positioning of the strips into the cycler. 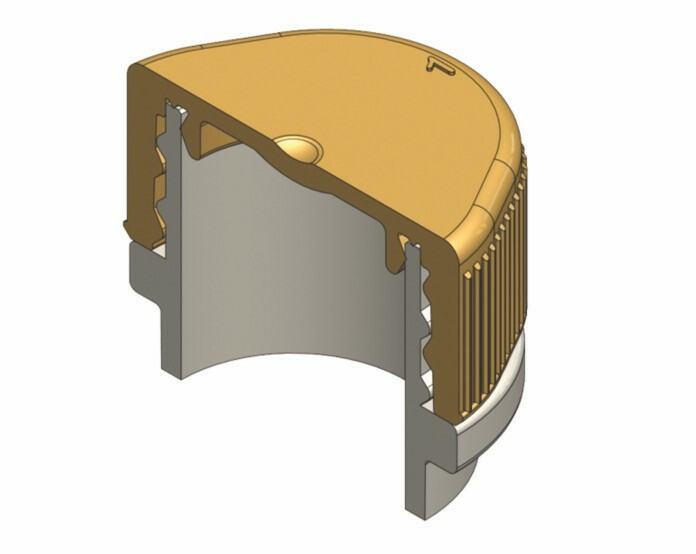 Strip caps are available in extra robust formats and allow easy positioning, opening and closing. 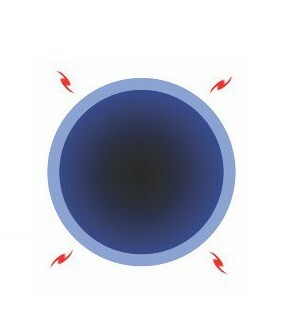 Indented optical areas reduce “touching” the optical area while closing. We at BIOplastics are, as many people, concerned about the environment in relation to the use of plastics. BIOplastics is often contacted in the assumption to have the solution for biodegradable-degradable plastics as these are also called “bioplastics”. At BIOplastics, we do monitor the development of these biodegradable plastics carefully and are open for incorporating these plastics into our product portfolio. The current technology and the type of applications, typically (q)PCR, does not (yet) allow us the use of biodegradable plastics. However to reduce the unnecessary pollution of our environment, BIOplastics has designed products that are interchangeable and can be use in a different lab application after serving the primary function. Some examples: filtertips and tip racks can be reused as (freezer) storage containers for tubes, plates and strips. You can use the rack to “pipette on ice” etc.. Furthermore the latest Tear Off plate mats and cap mats provide highest efficiency while very costs effective. 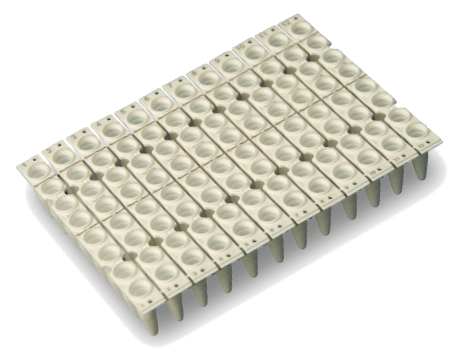 Products fit able Shell Frame Grids offers superior reproducibility of results and allow using a minimize amount of product. BIOplastics manufactures the widest range (q)PCR disposables globally. We offer products for ALL BRANDS of PCR and qPCR cyclers and integrate full interchangeability between these products. (see also “Interchangeability of products and processes”). No need for shopping at different cycler manufacturers or vendors who are typically not the manufacturer. Enjoy the benefits and ease of use of superior quality (q)PCR vessels which all have the same raw material compositions. Combine this with the extreme uniform wall thickness of the products and you actually have standardized and improved the reproducibility of your results by excluding variables in uniformity, material composition and properties. Unlike other screw cap tube (SCT) manufacturers, BIOplastics manufactures not only natural screw cap tubes but also colored screw cap tubes. 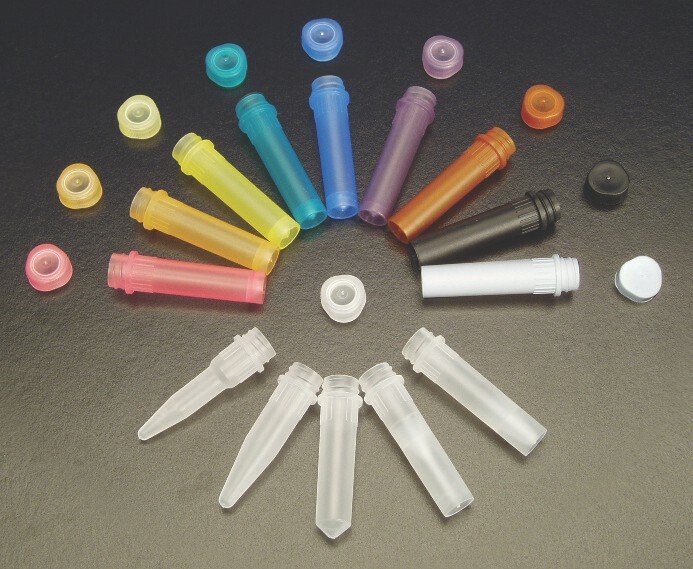 Reduce possible cross contamination in your lab by only using color matching tubes and caps. Ultimately one can opt using 1 or 2D irreversible bar-coded products, as e.g. screw cap tubes, our custom coding service or even laser code designated BIOplastics products by yourself. BIOplastics customized medical polypropylene blends are designed for low copy DNA, RNA and protein molecule detection through low binding characteristics. Polypropylenes are chemically inert, but still exhibit charged groups, static properties and hydrophobic areas. 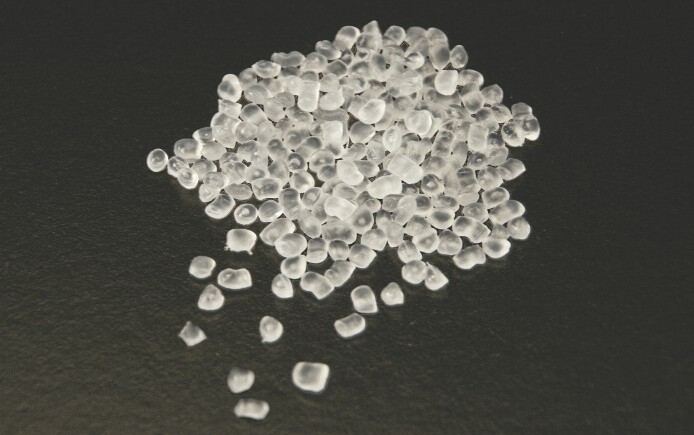 Different types or blends of polypropylene therefore do differ in binding characteristics and consequently charged groups like DNA, RNA, proteins and ions can bind in low amounts to polypropylene. BIOplastics (q)PCR products as well as pipette tips and micro centrifuge products are developed with a specific blend of PP. The blend is designed to maximize product functionality and application while providing extremely low binding characteristics to DNA, RNA and proteins. Due to these extremely low binding PP properties, products are superior for detecting low copy numbers of DNA, RNA and proteins. This blending enables reagent components such as ions and enzymes to be solely used for the reaction process and prevents sticking to the vessel surface. The binding (sticking) ratio of charged molecules like DNA, RNA and proteins between BIOplastics optimized PP blend and regular PP is typically 1:7 (1 to 7). (See also Anti Static tips PIPETTE TIPS, why, how and when they become favorable, page 17). 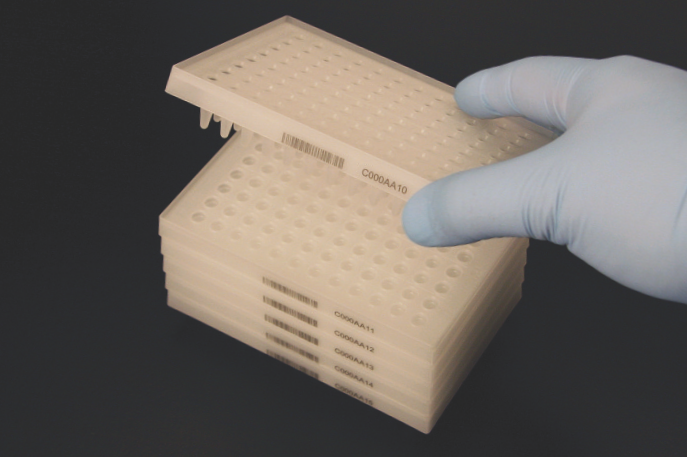 All BIOplastics plates are flat when purchased, which allows not only easy removal from a stack but also easy pipetting, positioning and removal from cyclers. Plates are stackable in a way that they do not nest or stick together. This is appreciated by those who do not want to waste time and effort into de-stacking plates as well as those who require liquid handling automation without de-stacking failures. Some plates are cut-able, some are breakable, some have “Tear Off” features, and some are additionally also assigned to fit Shell Frame Grids. Most plates have 12 centered and 12 non-centered holes which provide easy orientation for a plate or parts of a plate if it is cut or torn off. BPLPM technology provides “in product” permanent black markings (A-H, 1-12) as well as uniquely permanently coded plates (Number and/or 1D and/or 2D Laser-mark). As a manufacturer, BIOplastics’ focus has been to design products with superior primary functionality, and where possible, add ease of use and alternate use into the products. Below are several ease of use ideas. Single tubes can be easily opened and closed by only using one hand. 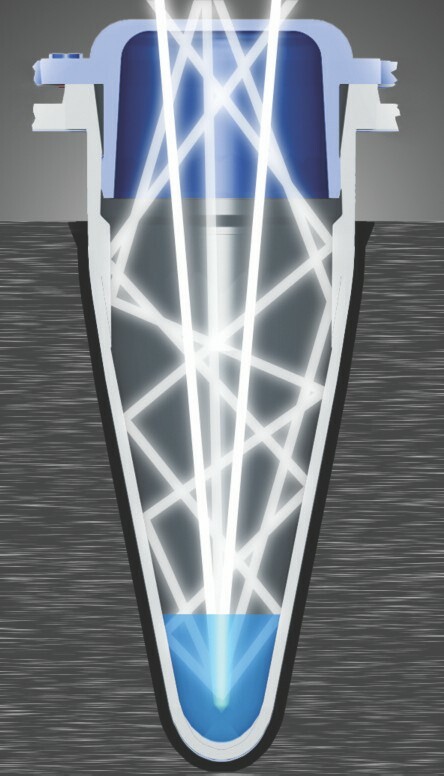 Single tubes can be placed in a BIOplastics Shell Frame Grid. The grid has functionality as a transport medium to and from cyclers and can be positioned into the cycler. The X - Y format remains the same avoiding requirements of individual tube labeling! The design of the caps of BIOplastics tubes is different when compared to other supplier’s caps. To prevent any residue settling in the cap, regardless opened or closed, BIOplastics designed all its caps without any grooves, notches or cavity numbers. This design increases the recovery of liquid and its containing molecules. Furthermore, by nature of the design, liquid will automatically “drip down” to the bottom if the lids are in their closed position. Combining the above mentioned design features with BIOplastics polypropylene optimized blend properties, one ends up with maximum product functionality while providing extremely low binding characteristics to DNA, RNA and proteins and so highest molecule recovery. In the design and development stage BIOplastics pays considerable attention to a strategy that provides maximum mould and manufacturing accuracy. 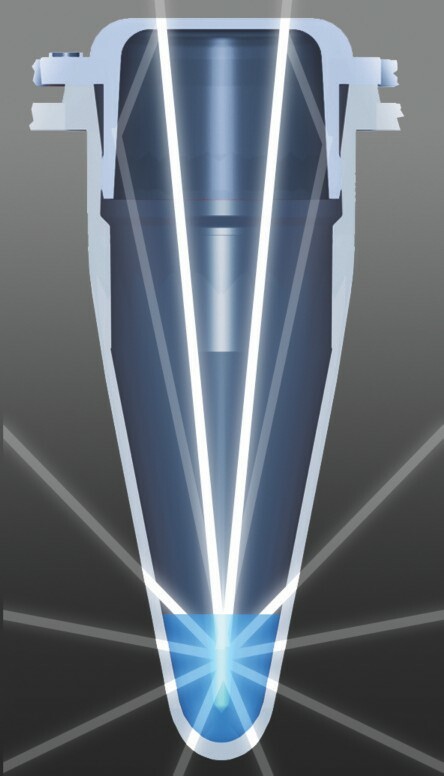 We outline precise product specifications, minimize mould cavities and define product thresholds, resulting in superior and reproducible products with, in the case of (q)PCR vessels, an average wall thickness of 0.30 mm for tubes and strips and 0.35 mm for plates both with a maximum tolerance of 0.05 mm. 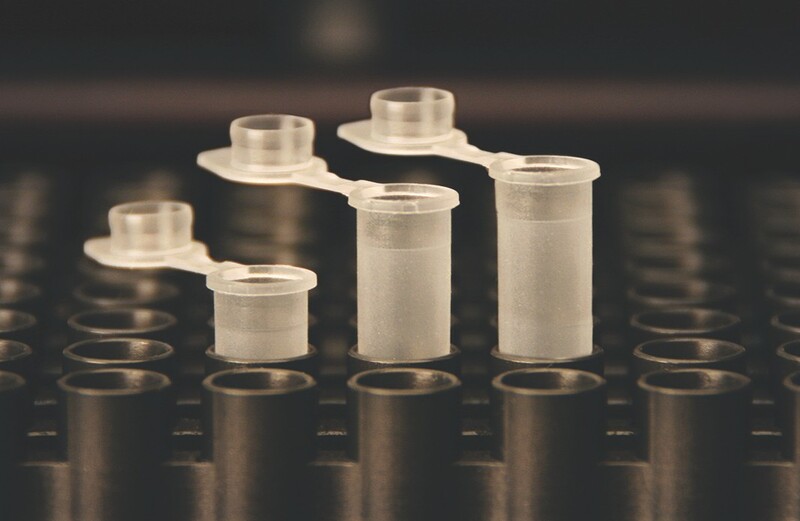 To manufacture qPCR products, tips and tubes with the highest uniformity possible, a low-cavity mould should be used. This means only a few products are moulded during one cycle, after which the next few are moulded. 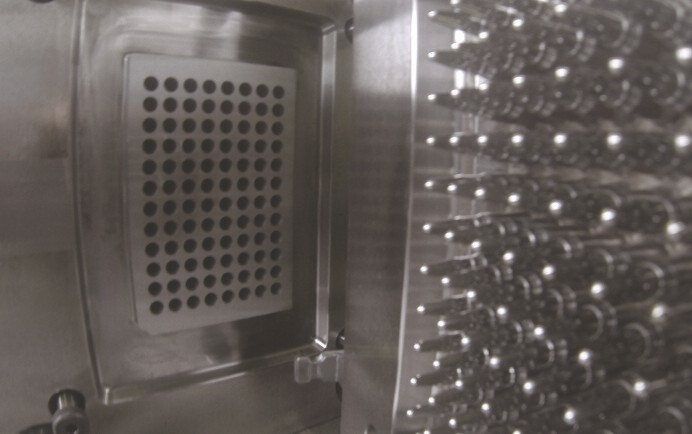 Manufacturing from low cavity moulds is more time consuming, and is therefore more costly than using high multi-cavity moulds from which 32, 64 or even 128 products are released in one cycle. Competitor’s products are often manufactured using high-multi-cavity moulds and therefore differ severely in tolerances and quality due to this production parameter. 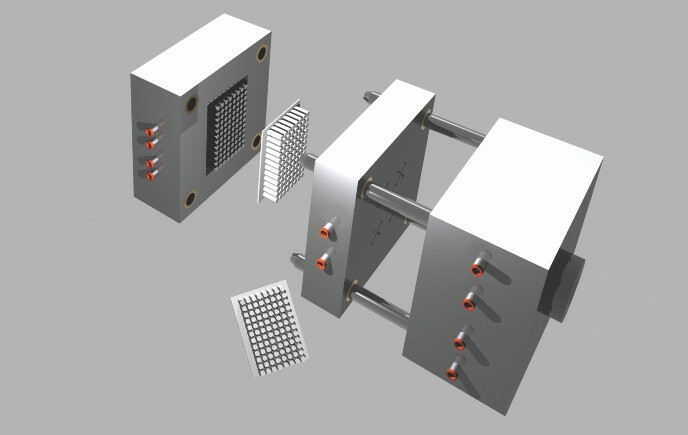 Manufacturing parameters of low cavity moulds are better controllable versus high cavity moulds. 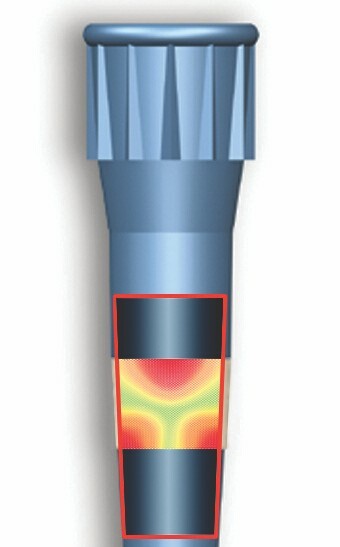 Injecting the polymer into a high multi-cavity mould (pressure/temperature) increases mould imbalance issues and consequently product inconsistencies. This can result in batches of products with extreme differences in wall-thickness, closure, orifice and fit, which will influence the reproducibility of your experiment. BIOplastics products are manufactured using single, low- and semi-low cavity moulds. During the injection moulding process all physical, chemical and mechanical parameters are fine-tuned to obtain an Extreme Uniform plastic. Our superior in-house expertise allows us to determine the optimum balance between injection temperature of the polypropylene, the temperature of the mould itself during the cooling process, the injection time and the shrinkage time. We benefit from the knowledge of our sister companies CYCLERtest and GENO-tronics both well-known as manufacturer of the MTAS® and Driftcon® systems as well as provider of ISO17025 accredited (q)PCR cycler calibration (On-Site) services. BIOplastics has incorporated modified temperature multi-sensor systems to monitor and control moulds and injections moulding machines. 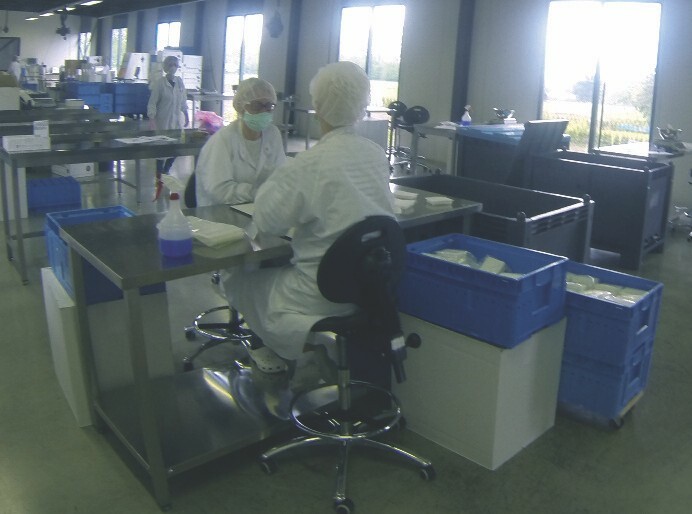 The manufacturing process takes place in a dedicated cleanroom under GMP and hands-free conditions to ensure the absence of detectable levels of DNA, RNA, DNase, RNase, proteins, pyrogens and ATP. The polypropylenes used are of the highest medical grade polypropylene, which ensures no release of metals or other contaminants into the reaction mix. The carefully selected types of medical grade polypropylenes are “in house blended” to well-defined proprietary ratios. This specific fine tuned blend supports achieving the highest product and user performance properties. BIOplastics avoids the use of softeners, coatings and mould releasing agents. The careful selection of different types of polypropylenes combined with extreme uniform wall thickness benefits BIOplastics products in a way that they do not crack easily. BIOplastics products can therefore withstand mechanical pressure and are impervious to possible small, microscopic, hairline cracks not visible with the naked eye. So fact: EU products are strong, flexible and reliable and do not crack and are to easy handle! Extreme Uniform wall thickness leads to even heating of the sample and more homogenous reaction conditions, leading to more reproducible results. Extreme Uniform wall thickness also leads to lower evaporation rates and therefore more consistent (q)PCR results. In case of optical detection by optical reading through side of the tubes, an extreme wall uniformity increases signal consistency. Polypropylene (PP) is not completely gas tight and evaporation through the walls is inevitable. Sample loss through the wall is proportional to the wall thickness and is also related to the type of PP. BIOplastics BV designs its (q)PCR vessels with thin walls at the bottom, to allow optimal maximum heat transfer, and thicker walls at the top to minimize evaporation through the PP which consequently leads to more reproducible results. Different thermocycler brands and models have slightly different block well angles. BIOplastics uses its sister company’s (CYCLERtest) competence and knowledge of (q)PCR cyclers during the (q)PCR vessel design. BIOplastics (q)PCR vessels features a tube angle optimized to fit all main brands and models of (q)PCR thermocyclers, thus allowing maximum heat transfer for superior optimal and reproducible results. 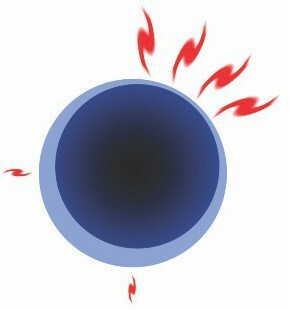 In low profile tubes there is a smaller “air” volume above the reaction mix than in regular and high profile tubes. This allows less reaction mix to go into gas phase, leading to more concentration of the samples, less change in reaction conditions and therefore more reproducible results. 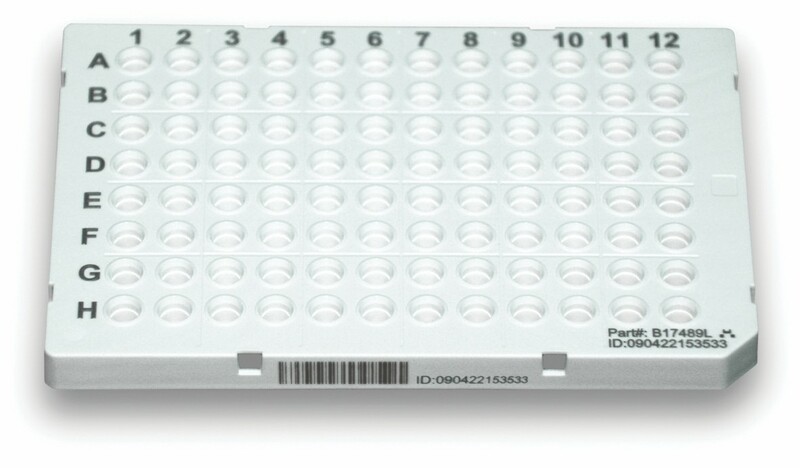 Fast (q)PCR cyclers accept low profile, also called 0.1 ml tubes, strips and plates. Regular (q)PCR cyclers accept regular profile products whereas (q)PCR cyclers with height adjustable lids accept low, regular and high profile products (tubes, strip-tubes and plates). 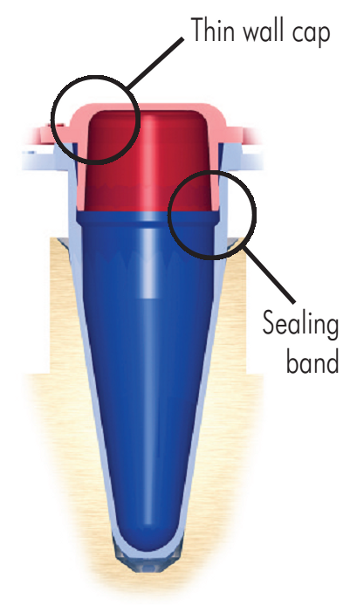 Clever design and sealing bands around the tube closure points provide a leak-free seal, reducing evaporation and leading to more reproducible results. The superior sealing properties allows running (q)PCR reactions with volumes as low as 5 µl. The cap design allow minimum pressure for closure and opening which is highly appreciated by users and minimizes RSI risks. The Tear Off 8-Tube Strip Mat can be considered as a flexible plate composed of 12 robust 8-tube strips which are connected to each other by thin bands. Part of the “plate” or one of multiple robust 8-tube strips can be easily and effortlessly torn off. Enjoy the benefit of full flexibility and use the format required for your application or cycler. Tear Off 8-Tube Strip Mats as a whole or in partitions can be “clicked in” Shell Frame Grids. Why not use one format only and enjoy the benefit of full flexibility. 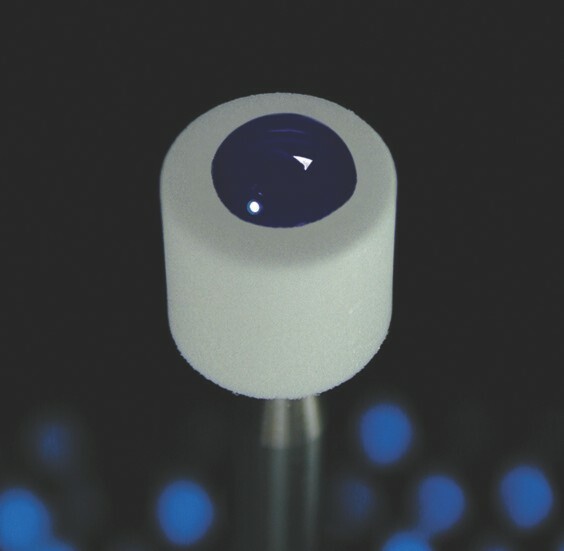 Indented qPCR Cap, the optical area is recessed into the optical cap surface to prevent “touching” the optical area. 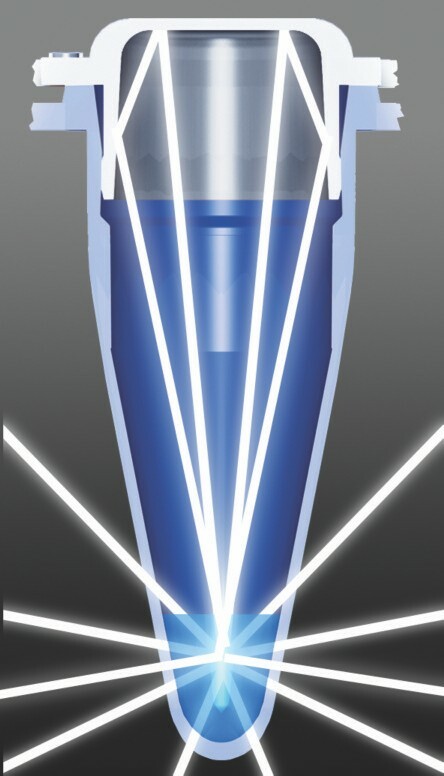 The caps of EU tubes and cap-strips are designed to enable fluorescent signals to pass through to the optical detection unit of a Real-Time thermal cycler. For the closure of EU strips and plates BIOplastics offers a range of EU wide optical area cap strips along with the “Opti-Seal” adhesive seals. The EU optical caps strips have maximum optical areas (12.6 mm2) and the thickness of the “optical lens” is reduced to 0.30 mm, which minimize light absorption by the plastics. 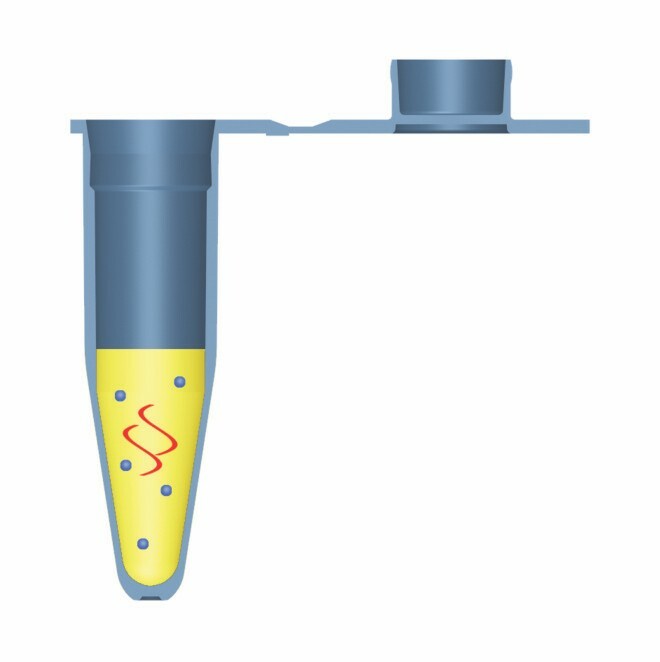 BIOplastics’ designers have positioned the “optical area” indented in the cap surface which prevents “touching” the optical area during the whole (q)PCR process. 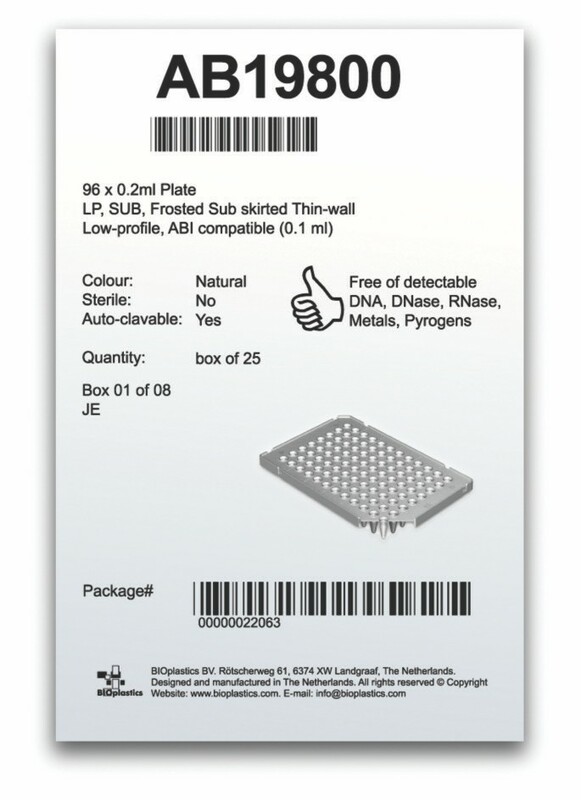 EU wide area optical cap strips can be used on any of the (q)PCR tubes, strips and plates. The robust design prevents any deformation; applying and removing these cap-strips is easy. Although polypropylenes are chemically inert, they still exhibit charged groups, static properties and hydrophobic areas. Different types and blends of polypropylene therefore show differences in binding of ions like magnesium, proteins, DNA and other charged groups which may influence your results. BIOplastics offers 3 different blends of polypropylene, these being O-type, A-type and M-type material. 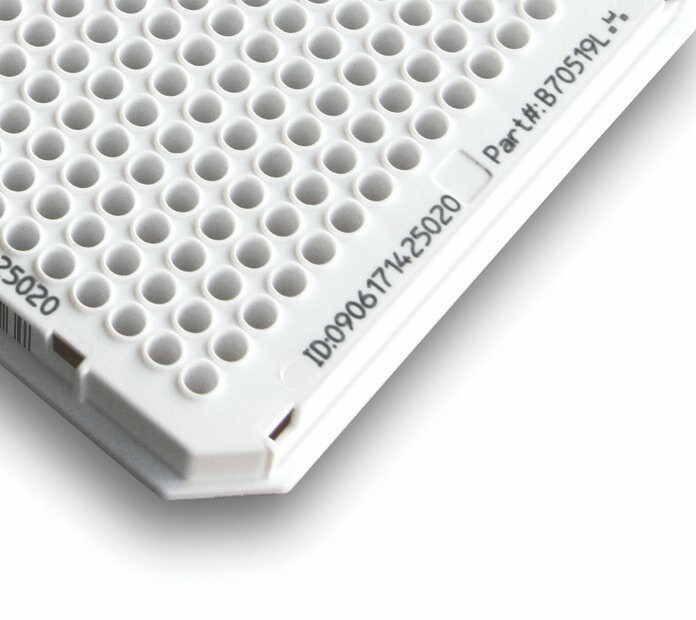 The O-type material is an optimal material used in (q)PCR grade reaction vessels. O-type material is composed by blending multiple polypropylenes specifically designed for (q)PCR applications. A-type material resembles the classic polypropylene mix, has better chemical resistance properties when compared to O-type and is available for some of the (q)PCR reaction vessels. M-type material is a more robust material which is mainly used for 0.5 ml, 1.5 ml and 2 ml tubes and pipette tips. For (q)PCR applications we recommend O-type material for optimal results, as it is non-binding and shows the highest thermal conductivity. 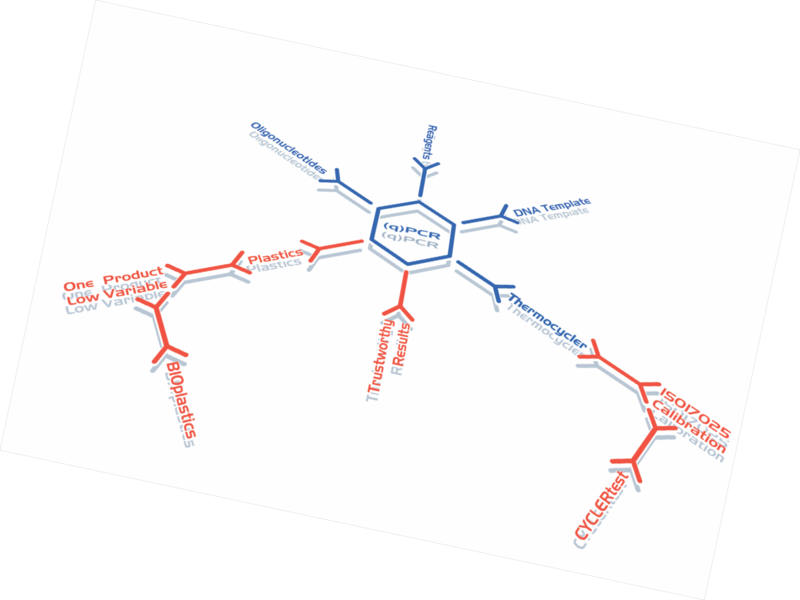 O-type and M-type material blends are specifically selected for non-binding characteristics to DNA, RNA and proteins. BIOplastics innovated the incorporation of micro particles in (q)PCR and related products. BIOplastics’ focus ensure maximum mould and manufacturing accuracy with precise product specifications, resulting in superior and reproducible products. BIOplastics’ (q)PCR vessels have a maximum tolerance of 0.05 mm. These extremely tight tolerances lead to extraordinary uniform and reproducible products. Consequently, reproducible melting and high resolution melting curves, typically used in the post qPCR process, are generated using BIOplastics’ extremely uniform products. HRM curves can be normalized, i.e. “cycler fingerprint” adjusted, by using CYCLERtest® ISO17025 accredited cycler calibration services and calibration tools (www.cyclertest.com). See also page 151. Shift of melting curves of one amplified fragment in qPCR. 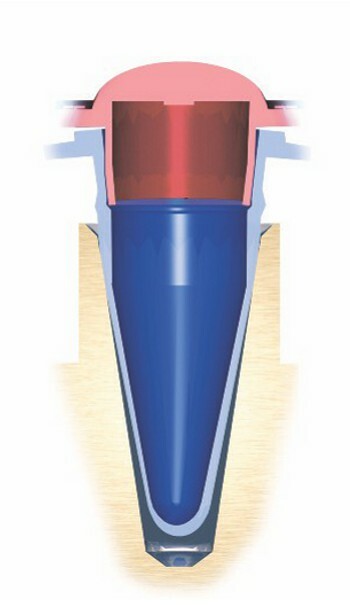 The filter in a filtertip eliminates the formation of aerosols in the shaft of the pipette, since it blocks the air-to-liquid interface between the sample and the pipette shaft. This simple idea has evolved in numerous types and brands of filtertips and filter materials. Most filters are made of 3-dimensional cross-linked HMPE (Polyethylene), which is totally inert. The pore size should be smaller than 25 microns to generate a “reasonable protection” and not smaller than 14 microns to still allow an accurate airflow required when pipetting. 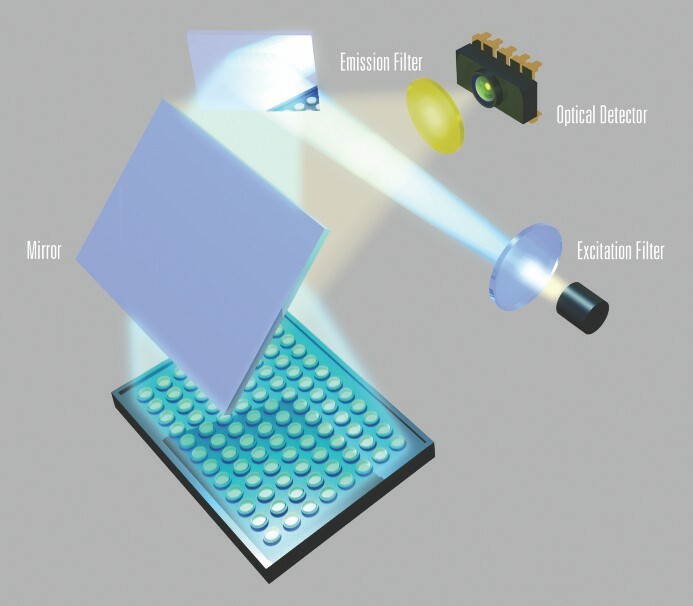 The filtering capacity of a certain filter is defined as the ratio of filter length and pore size. The longer a filter is, the better it filters. This relation is almost linear. BIOplastics filters are the longest available in the market with a superior 18 micron pore size gradient whereas other suppliers use shorter length and 25 to 30 micron filters! 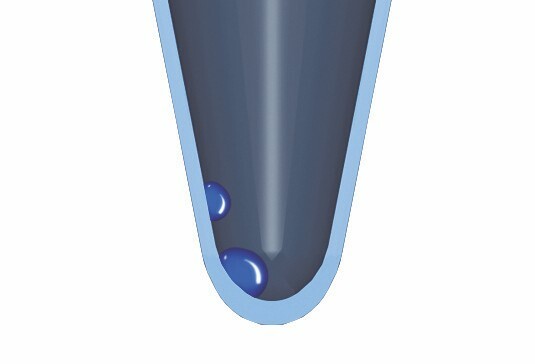 By applying a gradient into the filter, BIOplastics’ filtertips have an extended airflow and a balanced optimal aerosol protection due to its pore size and filter length, with a minimum compromise of pipetting accuracy. BIOplastics tips have a very fine orifice for complete, reproducible pipetting. The pipette tips are extremely clear to allow content examination if required. Tips are extremely uniform, flexible and soft, to secure a good leak-free fit around with the shaft of the pipette. 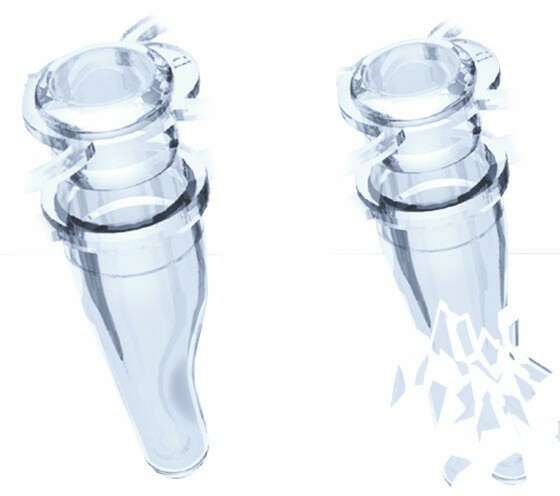 The soft, ultra-clear medical grade material also reduces RSI since the force to attach and release the tip from the pipette is significantly reduced. The fine orifice assures reproducible pipetting. Tips marked with the beveled orifice icon have a special 45° beveled orifice to guide the ejection of the fluids even better. Furthermore the raw material used in pipette tips has very low binding properties to biomolecules and has superior retention/recovery properties when pipetting ion-containing solutions. BIOplastics’ smart secure closure technology results in superior screw cap tubes. The screw caps are designed in a way that the use of “old fashioned” rubber rings has become obsolete. The absence of a rubber ring assures that the closure is not affected when in contact with organic solvents nor that leakage occurs due to hardening and unbalanced shrinkage caused by low and high temperatures and pressure. The smart secure closure design allows frequent opening and closing, even in extreme conditions, without compromising the closure and also avoiding leakage (working range -200 °C -+100 °C). Screw Cap Tubes are available in low binding and extreme robust formats which even allow severe bead beating procedures. Due to BIOplastics’ BPLPM technology, products can be individually and uniquely coded. These products are available for the qPCR product range as well as for micro centrifuge tubes and screw cap tubes. Each tube can have a unique ID#, 1D or 2D code. 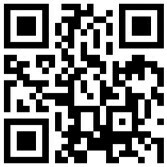 Specific codes or customized marking of any BIOplastics product are available on demand. 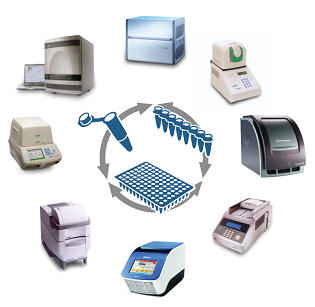 A number of qPCR cycler brands and models are available in the marketplace. Although they have a lot in common they also differ from each other. There are two major differences a userhas to understand in making the best choice in the disposables as well for generating superior results. 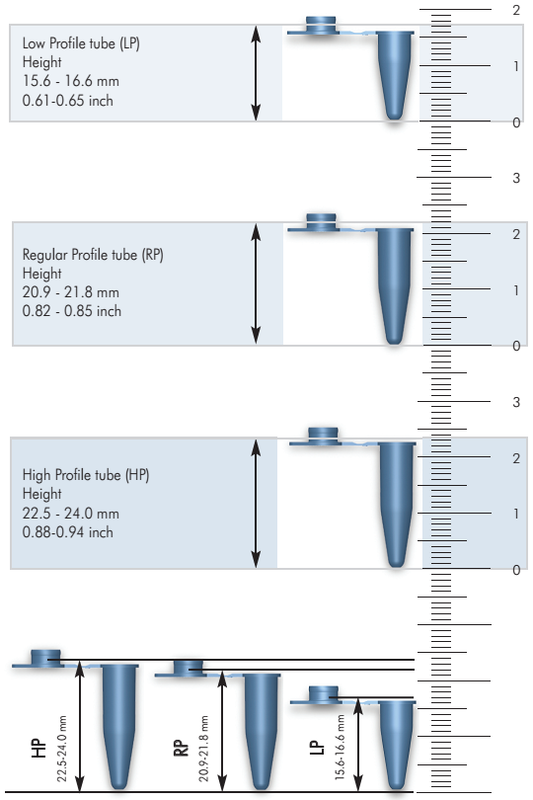 For differences in low profile (LP) 0.1 ml plates/tubes, regular profile (RP) 0.2 ml plates/tube see section “Differences in Low Profile, Regular Profile and High Profile products” at page 16.
qPCR signal to noise ratios can be significantly increased by using frosted qPCR tubes, strips and plates. Frosted products will generate higher signal to noise ratios (S/N ratios) up to 40% compared to transparent ones. By using frosted products both content visibility and high signal/noise ratio are achieved. White products are superior for enhancing signal to noise ratios. White products greatly enhance signal/noise ratios up to 90% compared to transparent ones and up to 50% compared to frosted products. Possible block pollution of dyes, differences in coatings, and inconsistent coatings can influence qPCR signals. White products will eliminate these interferences while frosted products will reduce the inconsistencies when compared to natural transparent products. Micro-particles, by nature, increase signal to noise ratios in Real-Time PCR applications. BIOplastics BPLPM technology incorporates micro-particles that increase signal to noise ratios in Real-Time PCR applications. Comparison of Real-Time signals when using Ultra Clear, Frosted and white BIOplastics products. Based on (q)PCR optical measurements through the cap. 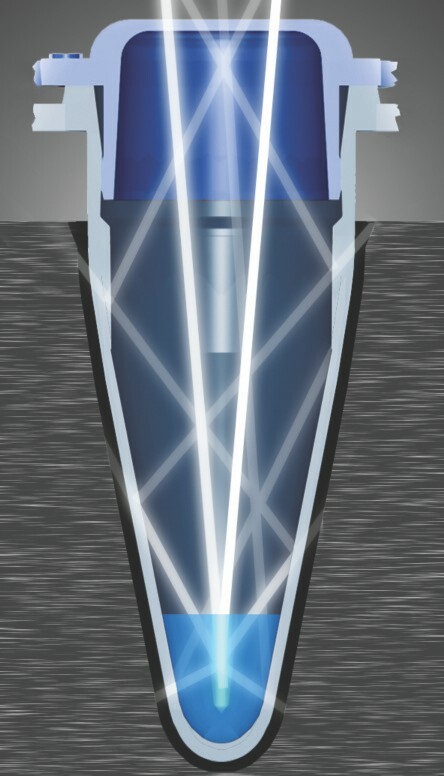 While many cyclers use the principle of optical reading through the cap, some cyclers generate an optical detection by optical reading through the sides of the tubes. In this case the highest signals are achieved using Ultra Clear (UC) transparent qPCR tubes, strips and plates. Preferably one needs the ultra clear feature at the conical part of the tubes. Beneficially the straight upper part of the tube could be frosted, where as the use of a white cap provides an additional increase of signal to noise ratios (S/N). Frosted products will generate lower signal/noise ratios compared to Ultra Clear transparent ones. White caps are superior for enhancing signal/noise ratios compared to transparent ones. 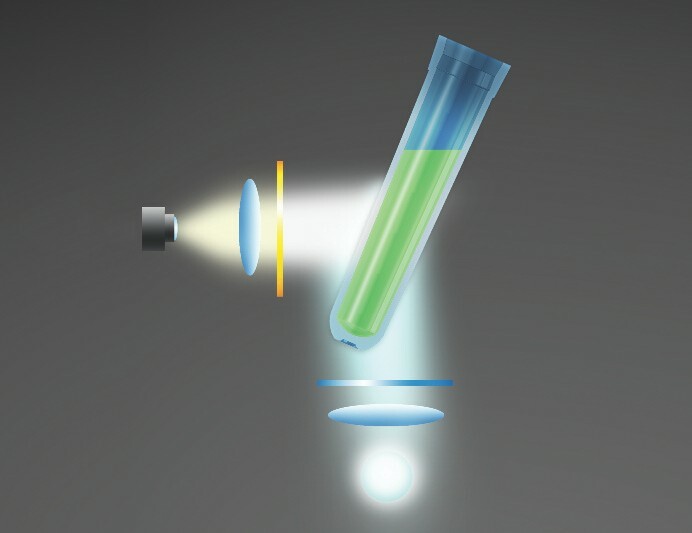 White caps enable reflection of “lost fluorescence” resulting in increased signals. 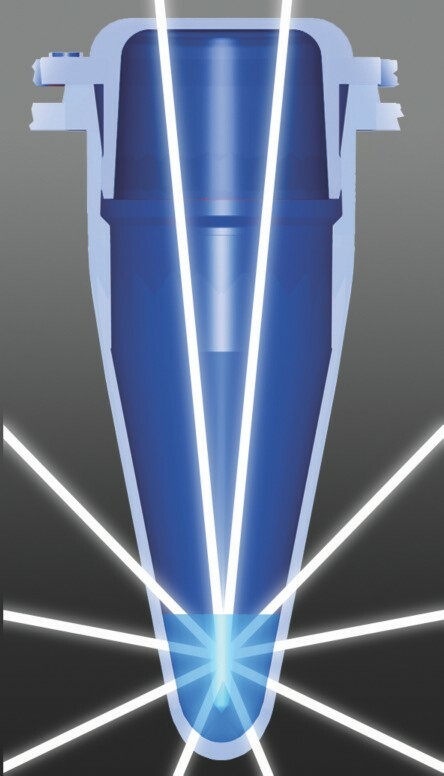 Although low profile tubes were introduced in the marketplace back in 2000, some companies have renamed the original low profile 0.2 ml vessels description to 0.1 ml “vessel”. Low profile (0.1 ml) products are used in “fast cyclers” from ABI, Roche 480 cyclers as well in (q)PCR cyclers with height adjustable lids. The difference between low profile 0.1 ml vessels and regular profile products is the height of the product and consequently the volume it can hold. More than half of a regular-profile strip remains above the thermal block level. 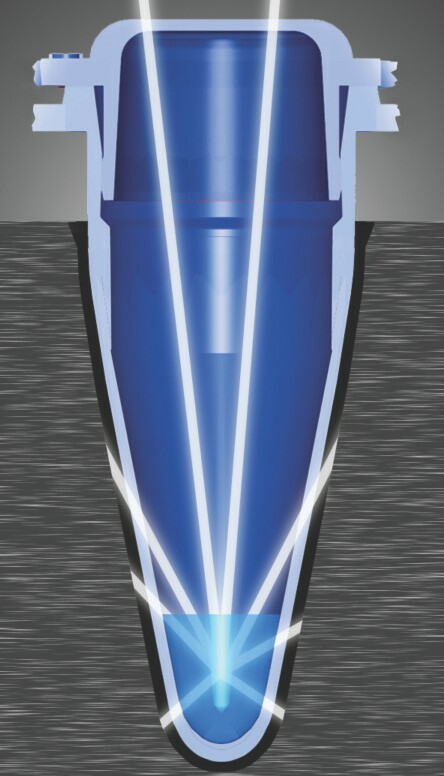 In low profile tubes there is a smaller “air” volume above the reaction mix than in regular and high profile tubes. This allows less reaction mix to go into gas phase, leading to less concentration of the samples, less change in reaction conditions and therefore to more reproducible results. Most fast cyclers accept low profile tubes, strips and plates. Most regular PCR cyclers accept regular profile and high profile file products. (tubes, tube-strips and plates). Thermal cyclers without height-adjustable heated lids accept only one type, mainly regular profile products. BIOplastics products are available in all profile versions. The differences between low profile (0.1ml), regular profile and high profile products are shown in the illustrations and photographs below. Low Profile (LP), Regular Profile (RP), High Profile (HP), Fast Cycler, 0.1 ml, 0.2 ml tubes? The industry did muddle the issue and customers are confused about "what is what". 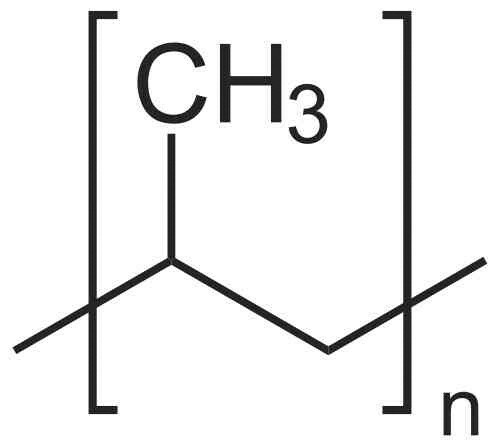 The polypropylenes used are of the highest medical grade polypropylene, which ensures no release of metals or other contaminants into the reaction mix. The carefully selected types of medical grade polypropylenes are “in house blended” to well-defined proprietary ratios. This specific fine tuned blend supports achieving the highest product and user performance properties. 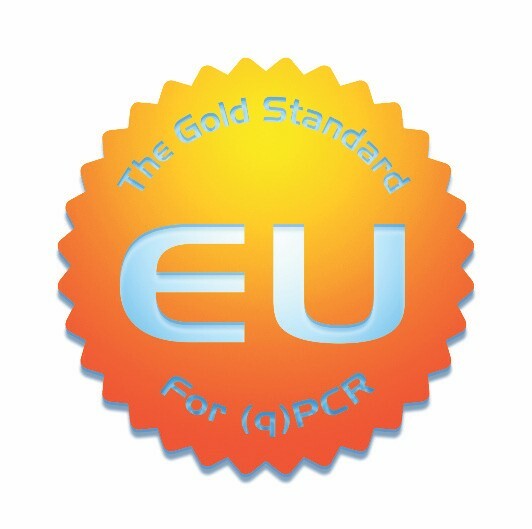 BIOplastics BV has set the EU Gold Standard for (q)PCR by being in control of all variables in the process starting from the principle design up to the final packaging, with products of superior performance relative to signal, closure, evaporation, and reproducibility. Anti-static pipette tips. Why, how, and when they become favorable. 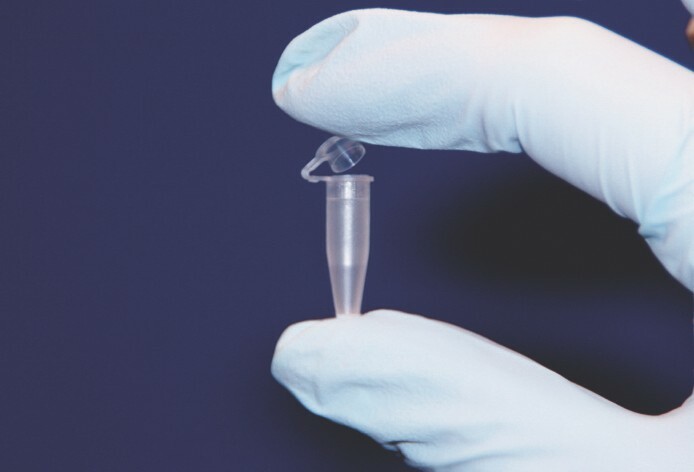 BIOplastics pipette tips are designed for use in molecular biological applications and more specifically for pipetting DNA, RNA, proteins and solutions commonly used in and around the (q)PCR process. BIOplastics has optimized its pipette and filtertips by means of design and raw material selection to meet the highest requirements. By selecting medical grade materials with anti-static properties BIOplastics has reduced the biological molecule binding to the lowest possible. BIOplastics pipette tips become favorable when pipetting slightly basic buffers, salt solutions and biological molecules (Proteins, DNA, RNA). Differences in hydrophobic and hydrophilic properties of solutions, raw material surface and biomolecules cause a pipetting difference “phenomenon” as shown below. If pipetting water contact us for regular “old type” tips. Product purity is, along with excellent design and functionality of products, an important and solid foundation that enables customers to generate reliable, reproducible and trustworthy results. BIOplastics products are fully traceable and frequently tested during production. BIOplastics products comply with the highest standards and requirements. Polypropylenes are medical grade and fully incoming quality controlled, prior to use in our proprietary blending methodology. All injection molding process parameters, QC tests and packaging are monitored, logged and fully traceable. 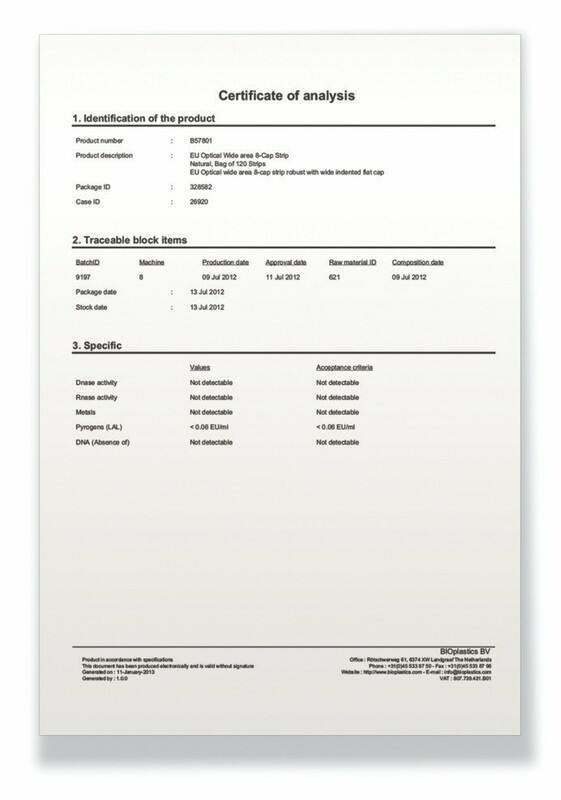 If required, BIOplastics will provide batch certificates as well as individual certificates. All BIOplastics products are extensively process qualitycontrolled and tested. Our QC-laboratory does the final testing prior release to the warehouse. A Certificate of Analysis can be requested at the BIOplastics website. Each request for COA will be re-traced in our fully traceable system prior to COA release. BIOplastics has a fully compatible traceable system in place. This means that each bag can be traced from the incoming raw material through production to whom the product was sold. Traceability is 100% and based on more than 80 parameters. BIOplastics products are molded and automatically collected, inspected, quality controlledand packaged in a Class 100,000 cleanroom environment. Manufacturing, packaging, in process and final release QC, operate as independent entities, each with independent responsibilities. Appropriate body protection, including masks and gloves are mandatory for all departments. BIOplastics’ company procedures are similar to ISO9001 and GMP procedures. Although we formally do not have to carry an ISO9001 stamp we are scheduled to have an ISO9001 accreditation shortly. Autoclave when, how and why? 15 minutes at 121°C and 2 bar pressure. A lot people confuse sterile products with DNa(se), RNa(se), Protein and DNA free products. BIOplastics (q)PCR products are manufactured free of any detectable levels of DNa(se), RNa(se), proteins and DNA. So the products do NOT REQUIRE any additional treatment. The AUTOCLAVING process DOES NOT REMOVE any DNA, RNA or proteins. It does however breakdown larger molecules and “kill” living organisms. So a sterile product is not necessarily a DNA, RNA free product whereas a DNa(se), RNa(se), Protein and DNA free product can by definition not be categorized as sterile. Bottom line for all BIOplastics products in general: Use them as they come! A sterile product is a product which is free of any living micro-organisms. Sterilization of BIOplastics products is accomplished by means of cobalt60 irradiation. Irradiated products age faster than non-irradiated products; they are less flexible and break more easily, because cobalt60 irradiation slightly changes the characteristics of the polymer material. Autoclaving the product yourself is a more gentle process, but when done several times it will also harden the polymer. One could argue whether it is necessary to autoclave or irradiate BIOplastics (q)PCR disposables at all, since our products are produced under cleanroom and “no-hands-on” conditions. See also autoclave when, how and why? (Page 18). What is DNa(se), RNa(se) and pyrogen-free? Producing products under strict cleanroom and “no-hands-on” conditions ensures the absence of DNA, RNA, and their breakdown enzymes. 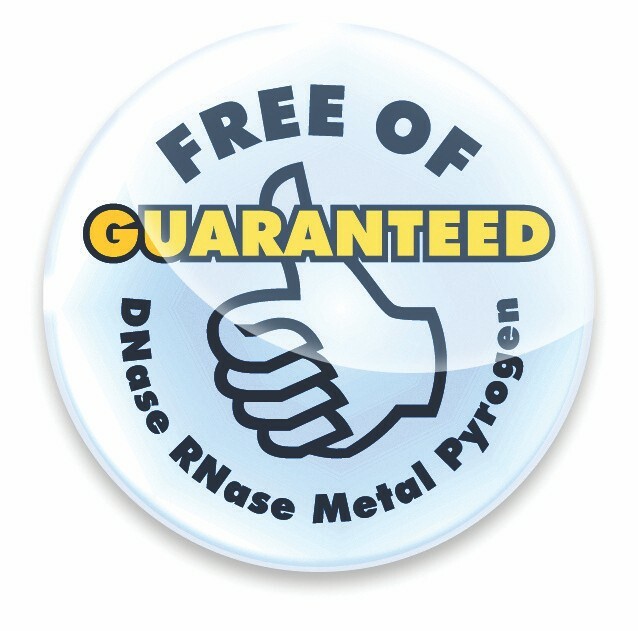 A sterile product is not necessarily DNA(se), RNA(se) and pyrogen-free. Only regular testing during and after the production process guarantees a DNA(se), RNA(se) and pyrogen-free product. You can recognize the DNA(se), RNA(se) and pyrogen-free plastics in this catalog when you see the “Thumbs-Up” icon. Human DNA and ATP absence? Manufacturing products under strict clean and “no hands-on” conditions, as well as regular testing during and after the production process, ensures the absence of human DNA and ATP. The absence of metals in polymer products like tips and tubes is essential for laboratory use, as metals can interfere in (q)PCR and other reactions with ions as Mg2+. BIOplastics tips and tubes are made of PP (Polypropylene) of the highest medical grade quality available and guaranteed metal free. Most companies work with so called Lot ID#(lot number). We at BIOplastics do not use the “lot ID” categorizations since raw material and time is involved in its definitions. Since we prefer to have more exact and precise data, we have narrowed the time factor down to a maximum range of 4 hours. It is for that reason that we use individual bag IDs which enable us to trace and isolate products to a manufacturing and packaging time frame of 4 hours maximum. Ultimately this is beneficial for you as a customer as it is for us. While this has not yet occurred, in any particular case it would enable us to recall products to a production time of 4 hours. Since we can trace to whom we sold individual bags, we would be able to precisely isolate products without interfering or disturbing non involved customers. BIOplastics is proud that the number of product complaints is very low. Furthermore 97% of claims ever received could be traced back to a user related issue. Let’s be clear: We at BIOplastics aim for 100% product satisfaction. We feel obligated to achieve this goal and have a team of application specialists available to help and investigate. Should you have a complaint, then we will ask you to fill out a complaint form including details of your experiments, as well as returning the products in question if possible. In all cases we will counter investigate and report our findings and recommendations back to you. If a claim is granted by our specialist teams we will replace the product free of charge. If a claim is not granted we will contact you and provide you with details on how to solve your problem. We believe this to be a fair, functional, and "no nonsense" policy. Due to BIOplastics BV experience in developing and manufacturing of superior products and the recognition of an excellent quality to price ratio, tailor-made products have become an additional aspect of BIOplastics BV. Customized solutions and products are based on BIOplastics BV core competencies and innovative technologies. Products can be designed according to your specific requirements and manufactured based on either exclusivity and/or intended to sell under client’s brand name. 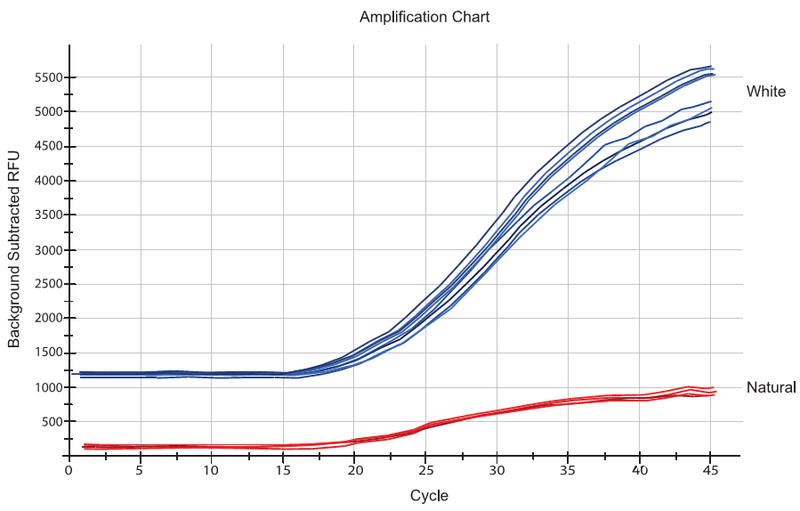 ISO17025 accredited calibration of a qPCR cycler in process. The outcome is validated against defined requirements and is also used to normalize its performance. 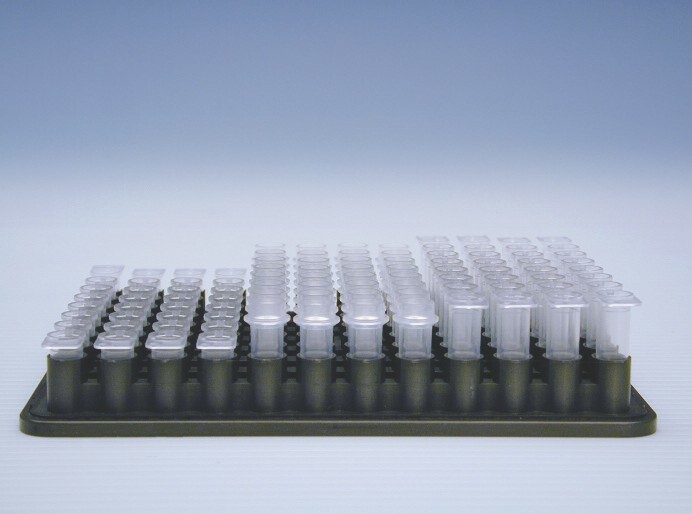 Since BIOplastics manufactures the widest and most uniform range of (q)PCR disposables which fit any brand or model of (q)PCR cycler, and since BIOplastics produces its products identical in raw material properties and uniformity, one can exclude the disposable variation by using BIOplastics disposables. So instead of using a variety of disposables from different vendors resulting in different compositions and designs, required to fit your cycler range you can opt for one source (BIOplastics) only. Your disposables will then have exactly the same properties for different models of cyclers. By doing so you exclude differences in disposables. Combine this knowledge with the CYCLERtest® calibration service or the purchase of a DRIFTCON® system which enables you to “fingerprint” your cycler thereby excluding the cyclers variable. Calibrate (DRIFTCON® or MTAS® service) your best cycler and define its temperature fingerprint. Calibrate (DRIFTCON® or MTAS® service) all other cyclers in your laboratory and define their temperature fingerprint. Problems in defining uniform SOP’s? Just let BIOplastics or CYCLERtest® know and we’ll guide you through this convenient solution! Labs generally have an assortment of (q)PCR cyclers in their labs. The cycler assortment can consist of the same cycler model and brand, different models of the same brand or different models from different brands. (q)PCR cyclers do either use Low Profile or Regular Profile products, whereas some can handle both. The conical reactions part of Low Profile and Regular Profile products are identical. Different disposables suppliers provide products which differ in raw material, binding and chemical characteristics compositions. (q)PCR cyclers do vary, even within the same model and brand, in temperature and optical performances. Beside BIOplastics, no other company provides a complete range of (q)PCR disposables serving any model and brand of (q)PCR cyclers. BIOplastics (q)PCR products are composed of the same raw materials. All BIOplastics products are interchangeable with each other (just like LEGO bricks). With the knowledge mentioned above one can benefit from better lab performance and maximize accuracy, uniformity, and reproducibility, whereby interchangeability between of protocols and instruments are normalized. Select your preferred work format e.g. Tear Off Tube Strip Mat, Cut-able plate. Let’s assume Tear Off Tube Strip Mat. Select your most sensitive (q)PCR reaction. Select your “best (q)PCR instrument” and check if it handles Low Profile or Regular Profile product. Let’s assume Low Profile. Run your protocol using BIOplastics’ selected format, Tear Off Tube Strip Mat, Low Profile on the “best (q)PCR instrument” and judge your results. If satisfied continue to the next step, if not optimize your reaction until you are satisfied. Now use the same Tear Off Tube Strip Mat, or a part of it for all other cyclers which can handle Low Profile (0.1 ml) vessels. For some cyclers you may opt to use a Shell Frame Grid to position the Tear Off Tube strip mat or part of it. If your other cyclers can not handle Low Profile (0.1 ml) vessels just select BIOplastics Regular Profile variant of the Tear Off Tube Strip Mat. Use the same Regular Profile Tear Off Tube Strip Mat, or a partition of it for any other cycler which can handle Regular Profile (0.2 ml) vessels. For some cyclers you may opt to use a Shell Frame Grid to position the Tear Off Tube Strip Mat. Since the raw material is the same your results should be exactly the same. In case your results are reproducible but not the same, you proved that the cycler performance of the used cyclers are not identical. If is the case, contact CYCLERtest BV or its distributor and calibrate both Cyclers under ISO17025 condition and standards. Use the outcome of both calibrations and adjust one cycler program to perform identical to the other cycler. By doing so you normalize all your cyclers. See also guideline in appendix page 143. Outcome: One chemistry, one raw material, a maximum of two products which give identical results regardless your cycler assortment.